Restoring the lost glory of an old or historic home is a project that only a select few remodeling companies can accomplish with success. This is especially true when involves re-siding decisions. For instance, using the wrong siding material can mask serious moisture problems, or pull focus off the unique aesthetic elements that we know and love about historic homes. If you are the proud owner of a local historical structure and are looking to give it a facelift, then A Cut Above Exteriors is the right company to call. As Oregon’s siding replacement leader, we have installed siding on thousands of residential and commercial buildings in the area. Cedar Siding – Featuring an array of unique tones and patterns, this siding means no two homes will look exactly the same. Its classic look will blend smoothly into the overall design of your old home. Cedar Shingle Siding – Boasting high resistance to harsh weather, this option comes in pre-primed and stained variations to preserve the historic appeal of your home. Hardieplank® Siding – Easy to customize and a graceful elegance like no other; no wonder it’s such a popular choice among homeowners today. Stone & Brick Siding – Durable and beautiful, our Cultured Stone® and brick options are the perfect complements to an old home’s facade. Once you’ve selected a siding, we will schedule an install date and begin preparing your home. We’ll tear off the old siding, check for dry rot, and install weather resistant barriers so the installation process will be as smooth and clean as possible. Let A Cut Above Exteriors restore your old home to look brand new today. 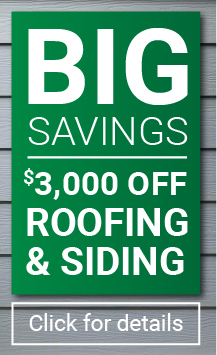 Give us a call at 503.334.0733, or fill out our contact form for a FREE estimate on your siding needs.